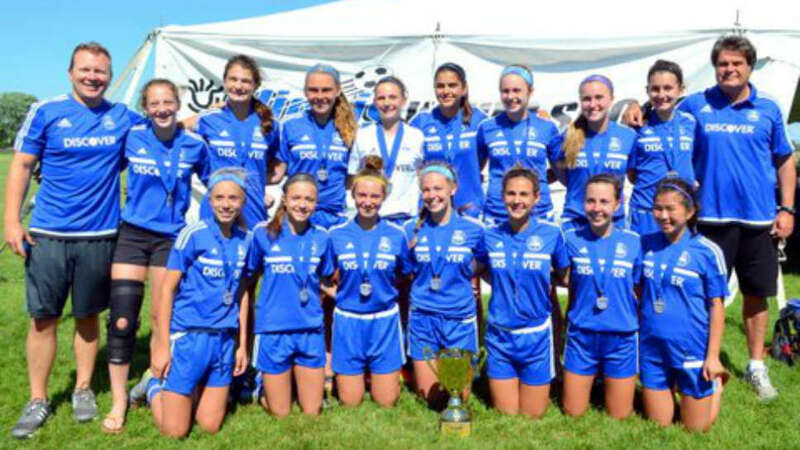 With a 3-1 victory over the NSA Twisters, Lake Forest Soccer Association’s U14 Girls Select team won its third consecutive Illinois Youth Soccer Association (IYSA) State Cup championship on June 5 in Naperville. This group also won State Cups as U12s and U13s. In the championship game, Bridget Mitchell, Alicia White and Malori Killoren tallied goals, while keeper Sophia Divagno and defenders Alyssa Marquis, Sarah Bires, Quinn Sokol, Nicole Doucette, Emily Paton, Emma Manolovic and Paige Copeland held the Twisters in check. In the semifinal game, led by Callista O’Connor (3 goals) and Paton (1 goal), LFSA defeated a very tough FC Barrington 4-3 in overtime. O’Connor scored the game-winner in the last five minutes. LFSA now will play in the Midwest Regional Championships later this month in Indianapolis. 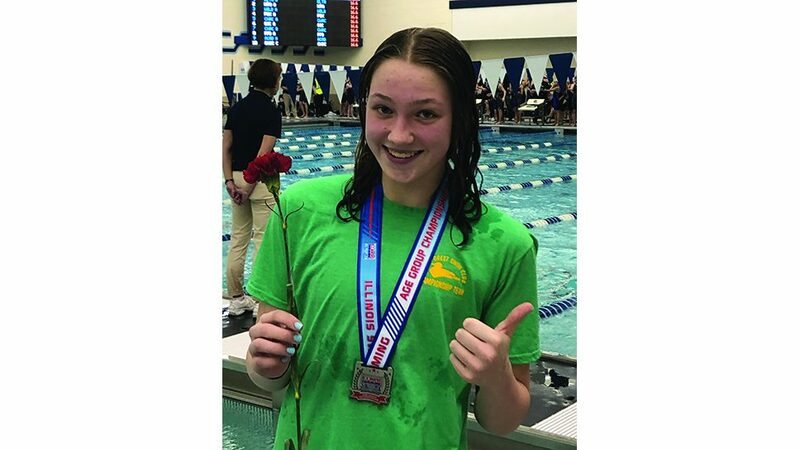 Over LFSA’s three-year reign as Illinois State Champion, the team has posted a 50-3-2 record against Illinois U14 teams, outscoring their opponents 200-36. Also, over the past 12 months, the Oktay Akgun-coached squad has competed in seven tournaments in six states, posting a 26-4-1 tournament record and garnering three championships, two runner-up finishes and two semifinalist finishes. Team members have garnered multiple individual accolades as well: (13) State ODP team, (5) Midwest Region ODP Pool, (1) Midwest Regional team, (2) National ODP Camp Pool, (5) U.S. Soccer’s U.S. Training Center Program participation and (4) U.S. Club Soccer’s national id2 camp invitation. The other roster members include Ingrid Falls, Julia Loeger and Grace Heery. Marquis, Mitchell, Falls, Doucette, Sokol, Bires, Divagno and Loeger will be attending Lake Forest High School in the fall. Killoren will enroll at Deerfield, while O’Connor will be an Evanston Wildkit. The other high school represented include Stevenson (Copeland), Libertyville (Manolovic), Geneva (White) , Heery (Nazareth) and Paton (St. Andrews).